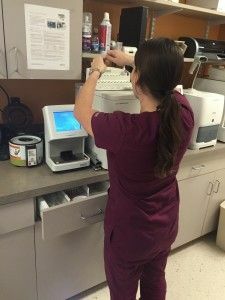 Elm Point Animal Hospitals state of the art in house laboratory from Idexx provides us with the ability to diagnose problems and initiate treatment on your pet much faster than ever before. 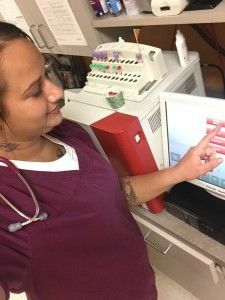 Complete blood counts, blood chemistry profiles, thyroid testing and urinalysis can now be completed in less than 30 minutes. 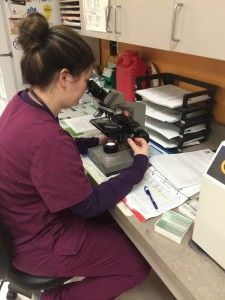 Routine heartworm/erlichea/lyme/anaplasma tests, feline leukemia and feline immunodeficiency virus tests, stool samples, ear cytology, skin scrapings and giardia (a stool parasite) tests can all be completed in 10 minutes or less. With these capabilities, pre-anesthetic blood work screening is completed quickly and efficiently prior to any type of surgery.